Yeah, okay, so the college wasn't fond of the idea of paranormal testing and experiments at first. They thought it was all mumbo-jumbo and you were somehow pulling their legs with your Ph.D. in parapsychology. But who's laughing now? Ghosts are oozing out of the woodwork in hotels, libraries, and apartments across New York. Household appliances are acting up. Things are levitating. And don't even get us started on the ectoplasmic residue... The college was a fool not to take you seriously. Because now? Now that the paranormal slime has "hit the fan"? Who is everyone is running to? 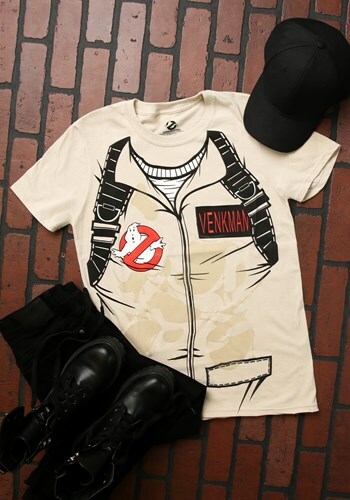 That's right, they're turning to you: Peter Venkman. You and your team of ghost-busting specialists are the only ones in the city capable of dealing with such paranormal activity. What started as skepticism and crank calls soon turned into round-the-clock spirit-stopping action.